How well does HideMyAss protect your online privacy? With a name like HideMyAss, the VPN service provider we review below should make privacy protection its top priority. We will evaluate its service features as well as its operations to see if that indeed is the case. HideMyAss is operated by a company named Privax Limited. Its corporate structure is relevant in 2 ways with respect to privacy protection. First, the company is registered in England. Second, it is a subsidiary of the Internet security giant AVG Technologies. The UK is generally regarded as a country that has privacy-unfriendly surveillance and data retention laws. Being a UK corporate citizen, HideMyAss must obey the local regulations. With the UK's Brexit decision, there is some degree of uncertainty as to its impact on privacy protection laws. Most VPN vendors claim that they don't monitor or log their subscribers' Internet activities. The truthfulness of the claim, however, cannot be independently verified by subscribers. HideMyAss explicitly states in its Logging Policy that it does 'collect and use VPN data for the operation of their business to ... prevent and detect abuse of their network, such as spamming, file sharing or other illicit activity.' The above excerpt makes it abundantly clear that HideMyAss monitors what you are doing online. the IP address of the VPN server. Based on the above list of logged information, HideMyAss is being truthful when it claims that 'they do not store details of the resources (including websites) you connect to or any of the data sent or received over their network, when using their VPN service.' However, what is not mentioned explicitly is that the information that they do log can be correlated with logs kept by web servers hosting your destination websites to uniquely identify you and your web activities. HideMyAss stores logs for 3 months, and possibly longer at their discretion, before they are deleted. Keeping logs for months with subscribers' source IP address is generally considered very bad for privacy and anonymity protection. If a subpoena is served during the time period, the VPN vendor has no choice but to hand over the logs to the authorities. A gag order usually comes with a subpoena, meaning that the VPN vendor cannot inform any third-party that it has been served a subpoena. To get around the gag order, some VPN vendors publish a warrant canary on their websites. A warrant canary is an official statement by a VPN vendor that it has not received a subpoena during a specific time period. If the VPN vendor does not update the warrant canary with the current date, or removes it completely from the website, the subscribers can infer that a subpoena has been served. HideMyAss, however, does not publish a warrant canary. HideMyAss operates a global VPN of 940+ VPN servers spanning 350+ locations in 190+ countries. 80% of all servers are distributed between US and Europe. With respect to the country count, HideMyAss is definitely top-notch. If your objective is to stream regionally-censored sports programming from a foreign website, it is safe to say that if HideMyAss does not support that foreign country, probably no other VPN vendor does either. Having a physical presence in a country, in the form of a deployed VPN server, has privacy implications. Some VPN vendors have recently decommissioned their servers in Russia because of the passing of a law that requires all VPN vendors, domestic and foreign, which have a presence in Russia, to retain detailed subscriber activity logs. Despite the pullout of fellow VPN vendors, HideMyAss continues its VPN server operation in Russia. File-sharing is officially supported on HideMyAss servers. However, if you are a file-sharing user, be mindful that they actively monitor your torrent file downloads to look for possible copyright infringement. 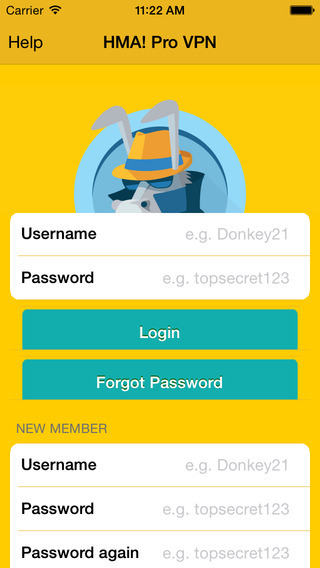 HideMyAss provides VPN client apps for Windows, MacOS, Android, iOS, and Linux. Running a client app on your corresponding Internet-enabled device automatically sets up VPN. The only action that you need to perform is to select the VPN server for connection. Even that is optional: the app will connect to the closest VPN server by default. You can install the client apps on as many devices as you wish. But, only 2 devices can be connected to the VPN at the same time. In addition, each device must be connected to a different VPN server. The 2-device limit means that you can have your smartphone and your computer (e.g., a laptop) connected simultaneously to the VPN. What can you do if you want more than 2 devices protected at the same time? You can buy additional licenses from HideMyAss. Alternatively, you can configure HideMyAss on a compatible router. Although multiple devices may connect to the VPN via the router, the whole router network counts as a single device toward the 2-device limit. The HideMyAss website contains instructions on how to configure a compatible router to support VPN. Beware that flashing a router with third-party firmware, if done incorrectly, can turn the device into a brick. If you don't have the time or the skill to take on the task of configuring your router, the safest solution is to buy a pre-configured router from the HideMyAss website. HideMyAss does not offer a free trial. So, to try out its VPN service, you must sign up for a paid subscription from its website. All paid plans ordered from the website come with a 30-day money-back guarantee. This is a very generous offer because most money-back guarantees in the industry are for 3 to 7 days only. The caveat is that you must not exceed 10 GB of total bandwidth usage, or connect for more than 100 sessions in that time period. Note that if you sign up using Google Play or the Apple store, you are not eligible for a refund from HideMyAss. You can purchase a 1, 6, or 12-month subscription plan. The 12-month plan is the most affordable at $4.99 (USD) per month. 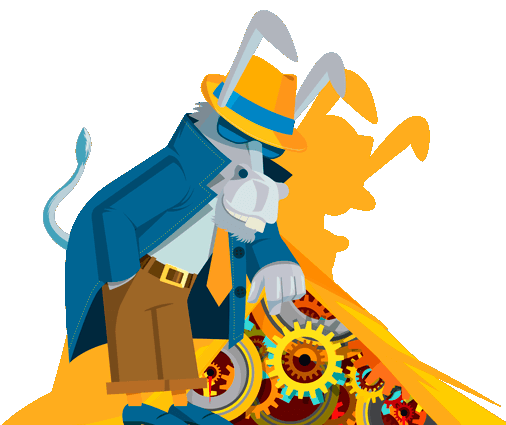 HideMyAss prices are among the lowest in the VPN marketplace. All subscription payments are recurring, but you can cancel before auto-renewal time. To pay for the service, you have the options of using a major credit card or PayPal. Those methods require that you provide personal identification information. In general, there are 2 popular anonymous payment methods: Bitcoin and gift cards. Bitcoin is a digital currency that can be purchased and circulated anonymously. The advantage of using Bitcoin over gift cards is that it can be purchased anywhere in the world. However, Bitcoin does not support recurring payment. Yet, the security conscious subscribers will most likely choose privacy over convenience. HideMyAss, unfortunately, does not support Bitcoin payment. Instead, HideMyAss supports gift card payments from many reputable American retailers, including Starbucks, Best Buy, and Walmart. The face value of a gift card is exchanged for a pre-determined number of days of VPN access. For example, a $25 Starbucks gift card is worth 81 days (about 2 months) of VPN access. The one major advantage of gift cards over Bitcoin is that it is less error-prone with respect to anonymity protection. To remain anonymous in purchasing bitcoins is not as straightforward as in purchasing gift cards. HideMyAss only accepts gift card payments from US-based subscribers. Note also that you can only use 1 entire gift card per purchase, and it is non-refundable. A 7/24 English-speaking telephone hotline is available for payment related issues. This is welcome news because most VPN vendors do not provide a telephone contact at all. If you have a non-payment related issue, you can contact support via live chat or email. Security conscious subscribers are advised to read the privacy and logging policy documents before signing up with HideMyAss. If you are comfortable with the policies, you will find that HideMyAss prices are rather affordable as compared to the rest of the industry. In addition, it has a large VPN network with servers deployed in many countries around the world. Subject to UK data retention laws. Maximum of 2 simultaneous connections.